I've prepared the archive with arcade version of the old scroll shooter "Xtom 3D". Developer is Jamie System. Arcade publisher is Andamiro Entertainment. Year 1999. Actual arcade cabinet uses Pentium-based motherboard with 3dfx Voodoo video card, sound card includes Yamaha YMZ280B chip, DOS installed. Native resolution is 512x394. My try with MAME ended with nothing so I've combined it with another emulator. This dump extracted from MAME rom. Running under Dosbox with dgVoodoo wrapper. Sound card is unemulated because it's not compatible with regular PC cards like Adlib or Soundblaster. I'm playing soundtrack from windows version of this game in external media player at the background. Here you can see the video how it works: Download link: [Hidden Content] To start the game "Xtom 3D": Run "dosbox.exe" To change resolution: Run "dgVoodooSetup.exe" Press little ".\" button at the top Press "Glide" tab Change "Resolution" menu to something Press "OK" button Controls: Enter - Insert coin Arrows - Player 1 movement [ - Player 1 Button 1 ] - Player 1 Button 2 WASD - Player 2 movement LShift - Player 2 Button 1 LCtrl - Player 2 Button 2 Alt+F4 - Exit Alt+Enter - Fullscreen To map the controls to joystick use Xpadder. Sound card is unemulated. You can play the soundtrack from "music" folder with your favorite media player at the background. Machinery replied to derole123's topic in EMULATION S.A.V. P.S. I don't have the Nytric IO board from original machine so I can't use coins and can't start career mode. Really hope that someone will port this game to modern OS. Here you can see my way to solve the same issue: After this procedure i've connected the hdd to PC with arcade games and booted from it without CD. Windows started fine. I've tried to run Windows 7 x64 in Test mode and deal with the driver. Now i don't have a Windows error about unsigned driver but the game still sÑreams "Checking for Dongle". No luck with this idea for me. Compatibility mode does not help. Looks like I need a working HASP4 emulator for x64. Or find someone who can crack exe. I've made an archive with game and dongle emulator. It has been tested on regular Windows XP and Windows 7 32bit (real machine and VMs). I've not managed how to make it works on 64bit systems. You can see an example on the video: Instructions: 1. Extract "PC" folder from archive to C:\ drive. 2. Run "PC\emulator\hdd32.exe" (dongle driver). 3. Run "PC\emulator\4A4F5DD7.reg" (dongle dump). 4. 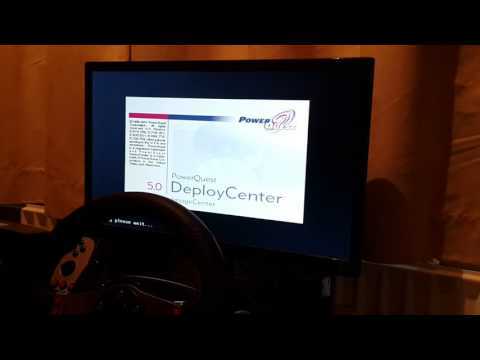 Run "PC\emulator\MultiKey32\install.cmd" (dongle emulator). 5. Run "PC\aliens\DATA\abhRelease.exe" (game itself). Link: [Hidden Content] You can try it at VM or hardware. Write if you have ideas how to make it runs on 64 bits.